These are Tamasin's favourite recipes - drawn from the classic repertoire but revitalised with a twist, a different, easier technique, or new ingredients. A classic dish is a thing of comfort and refinement - a dish that becomes part of family life. It's about taste and good ingredients, and it's neither too complicated nor too fussy. This is Tamasin's take on classic dishes from around the world. The classic French pork rillettes is made with mackerel, a tartare with tuna, a sea bass is baked with lemon grass and dill and brownies are made with dates and walnuts. She draws inspiration from her travels, a novel combination of ingredients, or simply the desire to experiment and go beyond tradition. Among the 100 new recipes are Cheese Straws, Clam Chowder, Roasted Beetroot and Dill Soup, Saltimbocca, Steak au poivre with Potatoes Lyonnaise, Wild Boar and Morel Stew, Duck with Grapes, Gratin of Spinach, Fig Sorbet, Raspberry Curd Tart, Blueberry Shortcake and Aunti Fei's Sour Cream Coffee Cake. 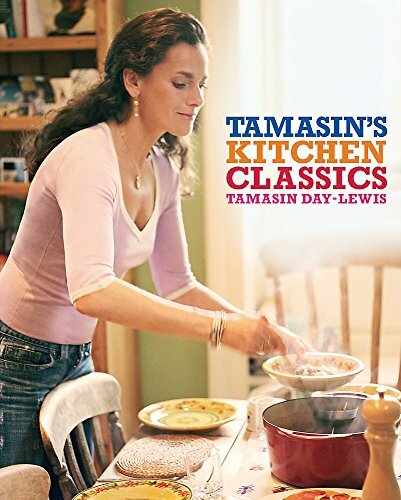 TAMASIN'S KITCHEN CLASSICS reflects the tastes and experiences of our times - the best of the old, revised and revitalised, and the best of the new from near and far adapted to her family kitchen. These are the recipes everyone will ask for.